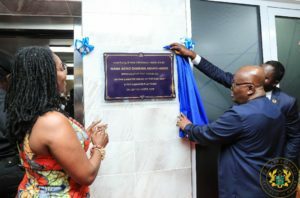 President Nana Addo Dankwa Akufo-Addo on Monday commissioned the National Communications Authority’s (NCA) Computer Emergency Response Team (NCA-CERT), and the Revenue Assurance and Traffic Monitoring Centre, a move critical to government‘s agenda to digitise the country. The NCA-CERT is a function of the Authority charged to protect the NCA and stakeholders within the telecommunications sector from cyber security incidents, whilst the Revenue Assurance and Traffic Monitoring Centre, is an integrated single platform for the regulatory, fiscal and financial oversight of the telecommunications industry. Both facilities, situated in the NCA’s Airport City office, would provide the NCA and government an independent overarching view of telecommunications data, in order to deepen the transparency, verification and validation of telecommunications data, as well as aid in revenue verification and fraud management and cyber security. 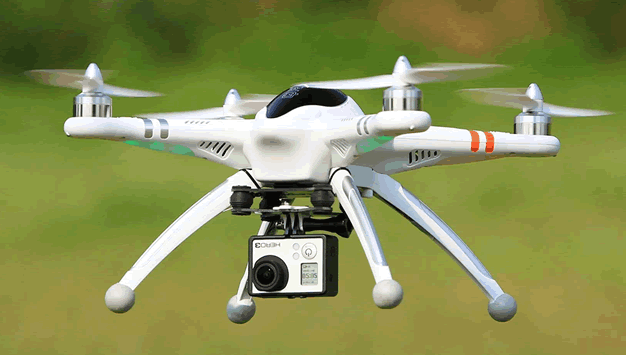 President described the two projects as “essential building blocks for the realisation of Government’s vision of a digitised Ghana. “They represent key milestones in our nation’s journey towards becoming well-resourced, self-reliant, and efficient and secure, within the context of cyberspace, telecommunications traffic management, and revenue assurance,” he added. Thus, he commended the National Communications Authority and the Ghana Revenue Authority for taking steps to guarantee the revenues of government, and, also, ensure that regulators and telecommunication operators worked together to realise that objective. The President indicated that with the execution of both projects, there ought to be the transfer of knowledge to enhance learning and the acquisition of skills by Ghanaians to man those critical facilities. “The creation of a state of the art, well-resourced cyber security response centre, such as the NCA-CERT, is key to attaining some of these goals. We have committed ourselves to building a resilient infrastructure, promote sustainable industrialisation and foster innovation so we can attain Goal No. 9, which ‘addresses three important aspects of sustainable development: infrastructure, industrialisation and innovation’,” the President added. He, thus, urged other critical sectors of the economy, especially the energy, transport and utility sectors, to collaborate with the National Cyber Security Centre to develop their computer emergency response units and deal with any eventuality which may occur. 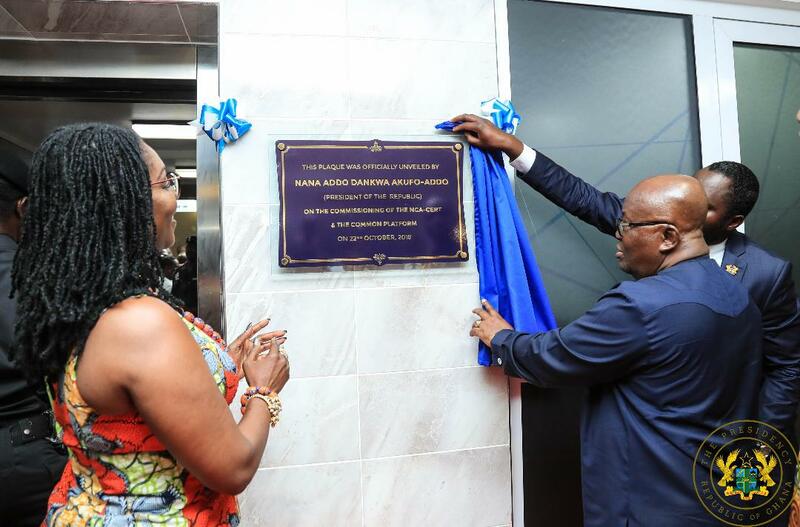 “As we commission these two essential facilities, I am charging the Commissioner General of the Ghana Revenue Authority, through the Minister of Finance, to continue to develop and roll out new and innovative ways to broaden Ghana’s tax net,“ President Akufo-Addo indicated”. Communication Minister Ursula Owusu-Ekuful noting that one of the Main cyber threats facing the global digital ecosystem was the threat to critical national Information Structures, said the survival of a nation in the digitalised economy was largely dependent on the ability to secure and protect critical databases, applications and systems that run government machinery, the financial sector and the telecommunications and IT industry. 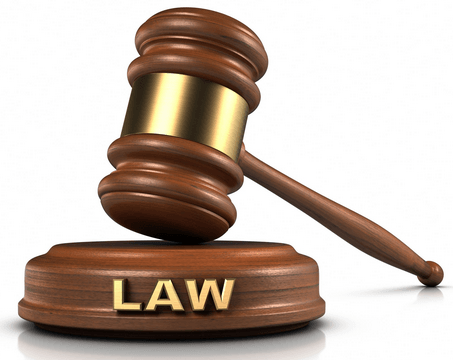 However, the ability to protect national databases was dependent on the provision of shared information which would lead to shared responses that would enable all stakeholders to protect themselves from attacks in the cyber space. 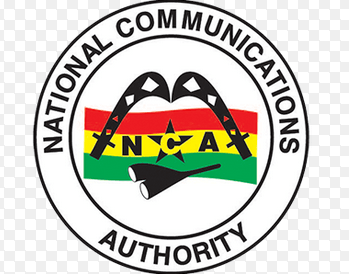 On the Common Platform, which is for revenue assurance and monitoring, the Communications Minister said government was interested in how the services impacted on tax revenue due to the state and urged the telecommunications service providers to furnish the NCA with the requisite information within 48 hours or face sanctions prescribed by the law.